A toolkit that will enable Cambodian government staff to see what climatic changes are on the cards in areas where they are planning developments, is being created by ICEM. The toolkit will, among others, allow for projected climate change parameters to be incorporated in project design and management across all arms of government. 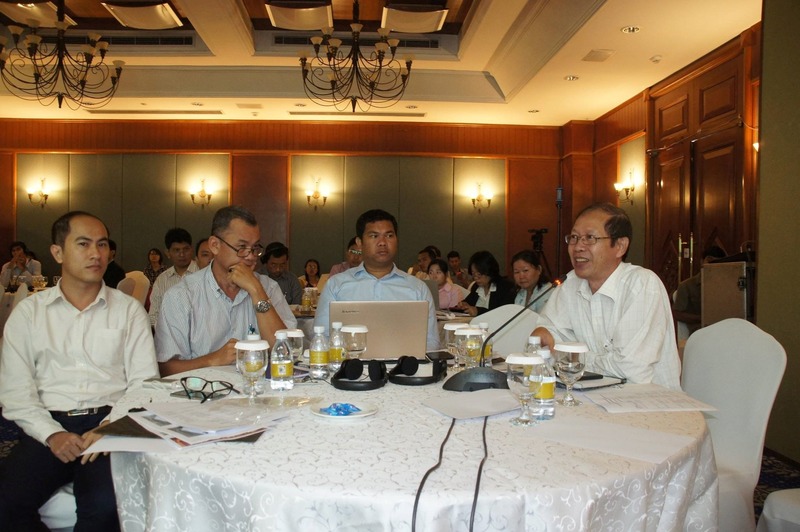 ICEM introduced the GIS Climate Change Toolkit, which is still in development, this December at a one-day training workshop in Phnom Penh, Cambodia, attended by various government agencies and NGOs. 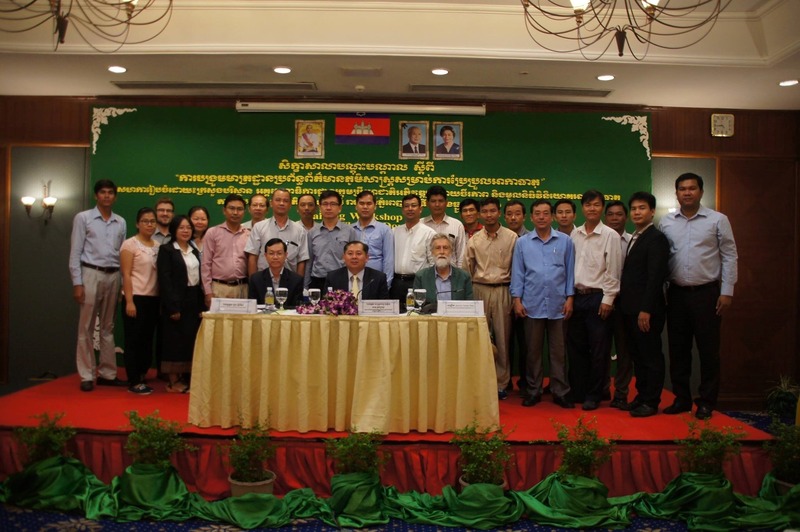 The workshop is part of TA 8179-CAM: Mainstreaming Climate Resilience into Development Planning, which is being executed by Cambodia’s Ministry of Environment (MoE) with assistance from ICEM. One of the main objectives of the project is technical capacity building of government staff, to allow them to assess vulnerability of development plans and adapt accordingly. This will lead to the mainstreaming of climate resilience into development planning. The toolkit is a national, GIS-based decision-support tool, which will be available on the web. It provides a climate change projection interface for numerous parameters at the national, provincial, and local level throughout Cambodia and is intended for use by infrastructure and development planners. The workshop presented an overview of the toolkit features and how to apply these. Workshop participants during the initial plenary discussion following the presentation of the toolbox features. The workshop served to present a test trial of the toolkit in order for participants to give their feedback on how to improve it. Participants were divided into four groups, each of which used the toolbox for a specific development project case study. Each working group used the tool to develop a climate change threat profile for their case study province, which they could use to consider the implications of climate change for the case study project. Finally, each group provided feedback for further development of the tool. 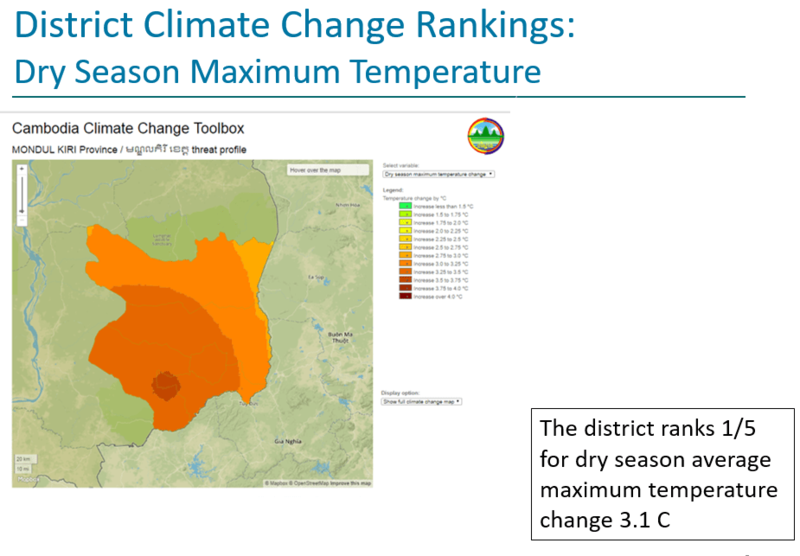 An example slide from one of the working groups, detailing dry season average maximum temperature change in the Mondulkiri province. Overall, the tool received positive reviews for its ability to communicate climate change information. Workshop participants suggested adding data for the commune level, data related to flooding and organizing more training workshops in future for various ministries, institutions, academia and the private sector. H.E. Chub Paris, Deputy Secretary General of National Council for Sustainable Development expressed his excitement about the prospect of a tool to harmonize climate change projections in Cambodia, the opportunity to learn how to use it and for his continued involvement in the discussion of its development. Once completed, the toolkit will be hosted on MoE’s website and can be used by all sectors of the Cambodian Government for development planning and management.